You need Commercial wood floor sanding Birmingham and the Midlands is for you if you have old wooden floorboards or engineered floor boards in your commercial property and they are starting to looking worse for wear. With all our years of experience in commercial wood floor sanding Birmingham we can bring back to life any type of wood floor you have. CleanAndSealUK’s commercial wood floor sanding Birmingham and the Midlands can amazingly transform any room, office or hall. You may have a night club, bar or restuarant with wooden floors which need sanding and refinishing to look great again, or you may of come across an old wooden floor that you quite like the look of in your office or shop. Believe me your wood floor can restore to something so refreshing you wont believe your eyes. Whatever type of commercial floor sanding Birmingham and the Midlands you are considering contact CleanAndSealUK. The Best Commercial Wood Floor Sanding Company In Birmingham And the Midlands. Fancy having your wooden floors sanded by the best wood floor sanding company in Birmingham, that use only the best floor sanding machines in the world and who offer virtually dust free floor sanding procedures? 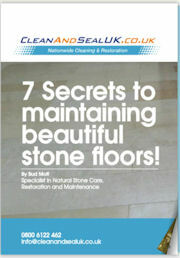 Then get in contact with CleanAndSealUK straight away. Looking for sports floor sanding Birmingham and school floor sanding Birmingham and the Midlands? Please consider using the best wood floor sanding company in the UK for all your wood floor sanding London. Perfect commercial wood floor restoration Birmingham and the Midlands. Are you considering having commercial wood floor restoration Birmigham done at your commercial property? We can restore any wood type of wood floor to its original glory with minimum disruption to you, your visitors and your property. Our commercial floor sanding Birmingham teams love restoring parquet flooring and oak floor, not forgetting sanding engineered wood floors. You can relax knowing we are specialists in commercial wood floor restoration Birmigham and the Midlands of any type, plus all commercial wood flooring repairs, making sure your wood floor has been fully restored to the best of our ability. We are passionate about making your commercial wood floor restoration Birmingham perfect and can guarantee that the results will blow your expectations out of the water. Whenever we do commercial wood floor sanding Birmigham, we always involve YOU the customer in the final decision on what type of commercial wood floor finishing you would like and is best suited to your commercial environment.